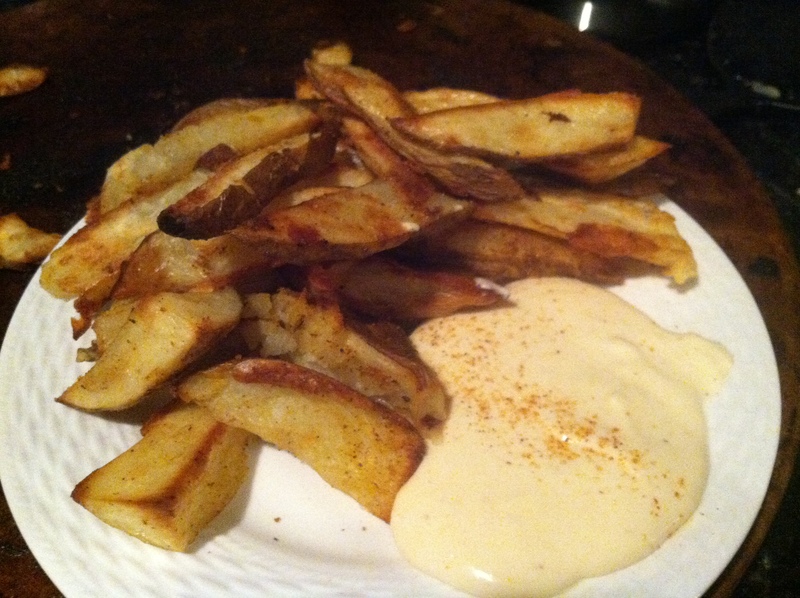 Cut the calories with these at home baked fries. Don’t feel guilty when you grab second helpings of these! The crispy crunch from the fries pairs so well with the melted garlic goodness of the cheese. 1. Preheat oven to 430. Wash, clean and dry potatoes. Cut the lengthwise in half. 2. 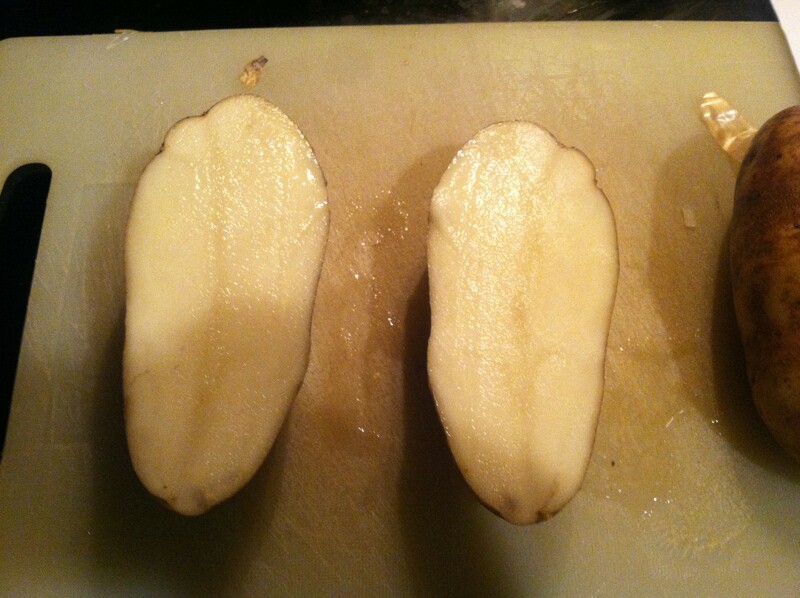 Then cut the poatoe half three more times. 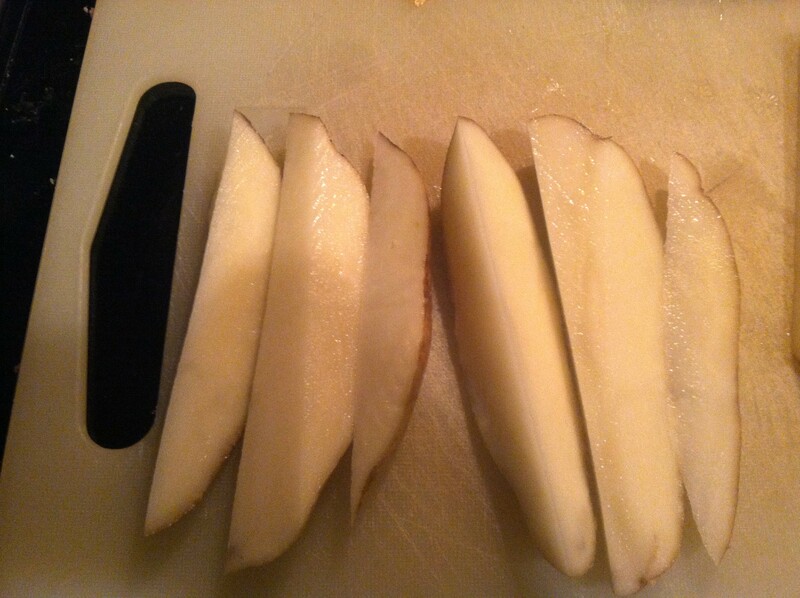 You can keep the fries a long length like above or cut them in half to make them smaller. 3. 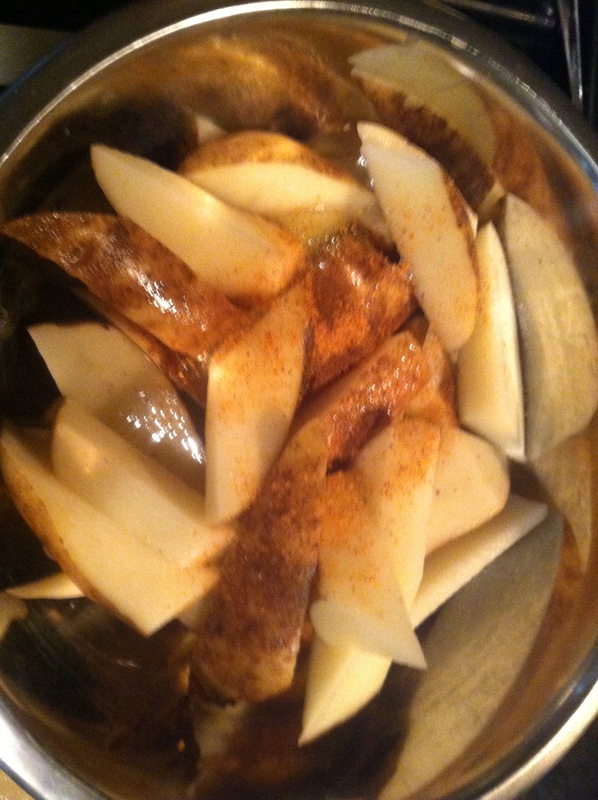 In bowl, mix together egg whites, potatoes, season salt and chili powder. 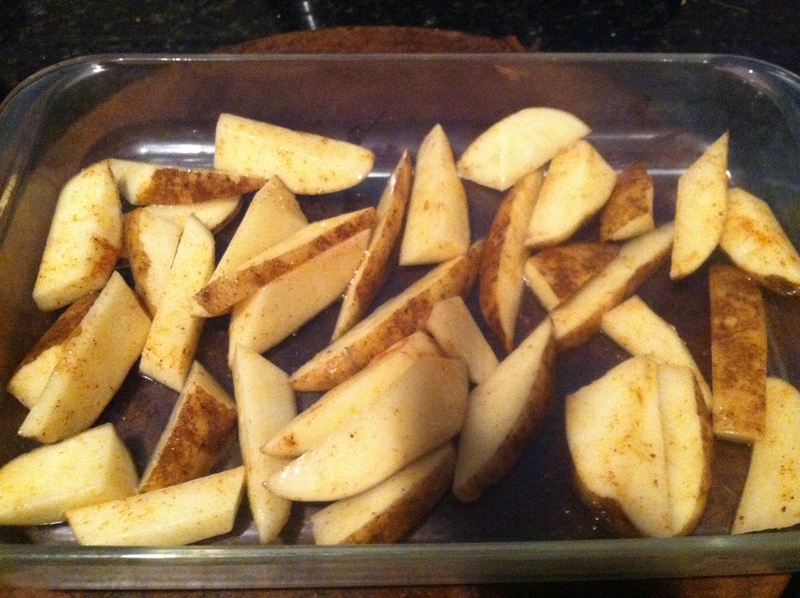 Mix around to evenly coat the potatoes. 4. In a baking pan ,spray bottom with non stick spray. Evening lay potatoes down on pan but do not pour all contents into the pan.They should be a little crispy but soft on the inside. Total bake time will be about 25-35 minutes.